My Cable Mart carries a wide selection of TV mounts that are suitable for your LCD or Plasma HD TV. Unfortunately, not all mounts will fit all TVs. 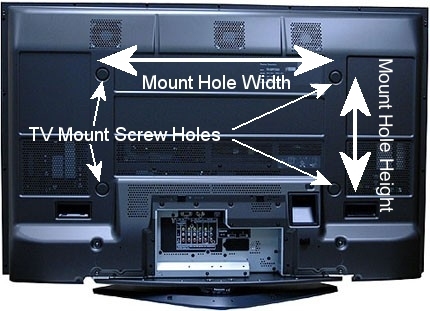 All TV manufacturers (except for a number of Pioneer and Sharp models) have somewhat standardized their mounting hole locations, and are located at the "one third and two third" points at the back of the TV. A number of TV's have followed the VESA Mounting Standard (also known as the FDMI - or Flat Display Mounting Interface). Unfortunately, not all models have followed this standard, further adding to some confusion in the search for the question - Will my TV fit your mount? We hope to answer or at least provide guidance in this area. 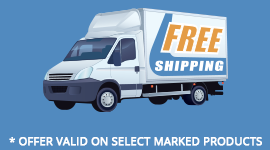 We offer a variety of installation services available here to customers in the Twin Cities (Minneapolis) MN area. Although MOST mounts can be chosen by using the "TV Diagonal Size" as a starting point, a final check should be the "Width" check on the back of your TV compared to the "Max Mount Hold Width" in the table below. This mount hole width can typically be found in your TV's user manual - or you may have to measure. Width and Height are critical measurements from the back of your TV to ensure your mount will properly fit. Measure from the width and vertical height from the actual mount holes located on the back of the TV's. These holes need to be AT or LESS than the maximum hole widths and vertical heights of the TV mounts from the specifications below.